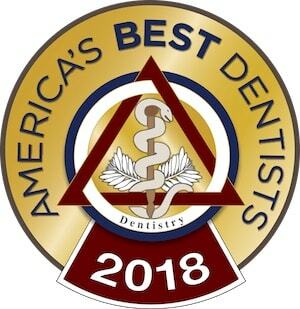 If you are looking for an incredible cosmetic dentist in Columbus, Ohio who serves the entire metro area, then you have come to the right place. Cosmetic dentistry is the art and science of designing wonderful smiles. It involves all aspects of general dentistry with a special emphasis on individual teeth and their overall harmony and balance in your smile. With advances in modern dentistry, there’s no reason you should be unhappy with the way your teeth look. Psychologists have proven that a beautiful smile enhances your personal appearance and improves your self-confidence. If you don’t like your smile, cosmetic dentistry may be for you. And Dr. Firouzian in Columbus, Ohio, is an exceptionally qualified dentist in cosmetic dentistry. Look carefully at your smile. If you feel it could be better, but you can’t put your finger on just one issue, a full mouth reconstruction might be right for you. This customized procedure combines several cosmetic dentistry procedures to give you a smile that fits your dreams. Dental implants are a cosmetic dentistry approach to replacing lost teeth. Your new teeth will look and function like natural teeth–and they can last a lifetime if properly cared for. Dental implants are a great approach to restoring your teeth: no loose dentures and no gap in your smile! Can dentures be cosmetic? You bet! Not only will these dentures look like your natural teeth, they will restore your bite to its healthy, comfortable, youthful position. This can help you avoid jaw problems like TMJ and sleep apnea, and can restore the youthful proportions of your face, helping you look younger and still look like yourself. Dental bonding, often called resin bonding, is when a tooth-colored resin is bonded to your teeth, then sculpted into the proper shape. It’s an inexpensive and quick cosmetic dentistry procedure that can be used to close tooth gaps, repair chipped teeth, and address other minor concerns you have about the shape of your teeth. Porcelain veneers are the king of cosmetic dentistry procedures. You can essentially get an entirely new smile. If your teeth are discolored, crooked, chipped, gapped, small, and/or poorly shaped, porcelain veneers can make them beautiful. Lumineers are an alternative to traditional porcelain veneers. They only work in limited cases, but in the right situation, this cosmetic dentistry procedure gives great results at a lower cost. Dental crowns can be used to reshape and beautify teeth that require more structural support than porcelain veneers can provide. Crowns can strengthen and protect teeth as well as improving their appearance. We can replace unattractive, metallic fillings with tooth-colored ones. White fillings can be made of a white resin or of a highly durable ceramic that not only looks more like your natural teeth, it restores the strength of your teeth. Teeth whitening can restore brightness to stained teeth. Over time, your teeth become discolored because elements of foods and beverages get embedded in the enamel. This can make your smile look older and unhealthy. Because staining is so common, teeth whitening is one of the most in-demand cosmetic dentistry treatments. BOTOX ® Cosmetic is the most popular cosmetic treatment in the world because it is safe, convenient, and effective. When facial muscles stay contracted, causing an aged, tired, or even angry appearance, BOTOX ® Cosmetic relaxes them, smoothing your face to a more rested and youthful look. Before we begin cosmetic dentistry, we will perform a comprehensive exam of your oral health. If we find concerns about your health–such as bleeding or receding gums–we may postpone cosmetic dentistry until we can ensure your teeth are healthy and sound. This may mean gum disease treatment before or at the same time as your cosmetic dentistry. To learn more call us today at (614) 848-5001 to schedule an appointment with our Columbus, Ohio dentist. You can also email us.